Rujuta Diwekar is a nutritionist who is qualified in sports science. For some reasons, I like qualifications. It assures me that the person talking about the area may be knowledgeable in it. Rujuta’s books and her practical approach to food, nutrition and exercise is something I relate to personally. I have loved reading her previous 2 books and looked forward to this one as well. As soon as it came in my hands, I took just about a day and a half to completely read it. And, no there is no fiction there :). Every woman and every man must read this book. One reason because exercise is something which adults in our country don’t take seriously. I liked how Rujuta busted myths about “brisk walking” and why all doctors on earth ask you to walk without explaining for a minute how much, at what intensity and pace. This book tells you exactly how walking helps you and only to a point. She addresses a very important issue of strength training for women. In India, women will do treadmill or exercycle but God forbid, weights! They immediately imagine themselves as bulky weightlifters. Rujuta gives some straight forward gyan about why it is impossible to lose weight (if that is your goal) or stay healthy and toned unless you do weights. I loved how she explained cardio and Yoga and debunked myths around that. She explained how carbs, proteins and fats get metabolized in our body. Yes, it gets a bit scientific here but that is the only way to understand what and how everything is assimilated in our body. Read a bit slowly here to absorb the information and do not hesitate to re-read. A very crucial part she covered was pre and post-workout meals. Most women and men fail in their fitness and health goals because they eat erratically and especially before and after workout which completely erases the crazy efforts that they are putting in the gym. So pay attention here and pick up a few tips. God knows I did! I also fine-tuned my own workout schedule based on her inputs. I am sure it will help everyone make workout a part of their daily routine with knowledge and a clear frame of mind. She also draws clear lines between staying active and exercising. Both are different of course and cannot substitute for each other. For me the book is filled with nuggets of wisdom. I have read and done some courses on nutrition and exercise but what appeals to me in Rujuta’s books is her plain, no-nonsense logic. She just makes a lot of sense. Also, she writes from the point of view of the reader, not talking down to you but patiently explaining so that you actually understand. She also gives you local information with local advice for women grappling with our own cultural constraints making her extremely relevant. So every Indian woman will relate to the real-life case studies she offers and the constraints that women in India face that come in the way of their health goals. I say for this price, the book is a goldmine of information. Whether you want to lose weight or not, read the book. It will clear your head! Cons: The language she uses is conversational which is actually good. But what distracts is her excessive use of Hinglish (read Bombay slang). Not everyone who reads the books may be aware of them unless you belong to Mumbai or are avid Bollywood movie watchers. I guess some audience may not get all the jokes she intends there or like the lingo. But, it does give you the guffaws if you follow them. For those not conversant with scientific terms and expressions, there are parts of the book that will drag. Don’t give up; however, try and get the gist of what she is trying to say. It will help you in construing the later chapters better. A great book to buy, read and keep going back to! Disclaimer: I have not been paid for reviewing the book. The copy I bought was with my own money. Needless to say, all opinions are my own! I ordered this book recently, but before I could lay my hands on it, the husband was found with his nose buried in it!! And this probably sounds unbelievable, but he joined a gym last week!! For the first time in his life!! He’s still reading it, so I haven’t got a chance to look at it yet, but your review has made me even more impatient for it!!!! That’s fantastic, Fab! I am so happy that your husband took that step. Trust me, you will feel the same when you read her book. It inspires you on many levels to be regular and more disciplined in your workout. I felt similarly. Thanks for reading! I’m not a fitness enthusiast but dilligent about my “brisk-walk” 🙂 . Your review has made the book all the more interesting. Next on my list. I am the most diligent ‘brisk walker’ you will find around :-). Yet, I learned a lot after reading her book. I am sure you will enjoy what you read, Anita! I brisk walk regularly even now. But it is important to understand what that exercise does for you and how you progressively make it work for you. Also is important learning about pre and post workout nutrition. I suggest you read the book. It will help you make your workout choices more prudently. I am no expert; she certainly is :). Tell me one thing- does it focus on weight loss? No. This one focuses on exercise — various types, what each involves, how each works and why you should be working out everyday. What I like about Rujuta is her alignment with my own thinking that weight is never a parameter of health. Fitness is! And she tells you why you should nourish your body, eat healthy and exercise regularly. And if you do all that, you ought to be optimum body weight too. If you haven’t, read her first two books too. They are fabulous. Thank God. Because I am fed up of weight loss tips everywhere. That’s the last thing I want. That’s my mantra too. Fitness and optimum body weight. Exactly, Jas! Most of the people who write in this genre just go overboard with weight loss. She is the only one who writes sensibly and backs it up with solid scientific reasoning. That is why I really love her writing. Will checkout her books. I am in dire need to maintain optimum weight. I keep falling short. I have read her books and am a huge fan. I havent read this book but your write up has have me excited and am definitely buying the book. You will love this book, Jisha! Happy that you liked the review! Since Rijuta generally does not reply yo the questions either in fb or twitter, i want to ask one question. I have ready her first book.Now i am reading second book. There is so much info in the book. Rujuta has exlained many concepts , rules to follow for the workout.. 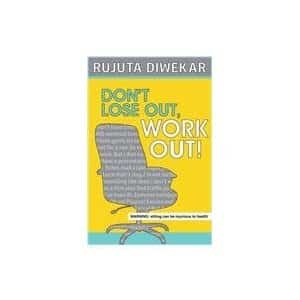 I wonder do the gym trainers really know about all what rujuta explained in the book. If gym trainer does is not clear enough on all these concepts , how can we be guided correctly ?? I don;t think we can get trainer like rujuta in our gyms .. What is your take on this ?? Avinash, Rujuta actually spends some time on whether the gym trainers and doctors know about exercises and their efficacy in her third book. Do read it for better understanding. By reading the book, you will start understanding what you need to do and how to devise your workout effectively. 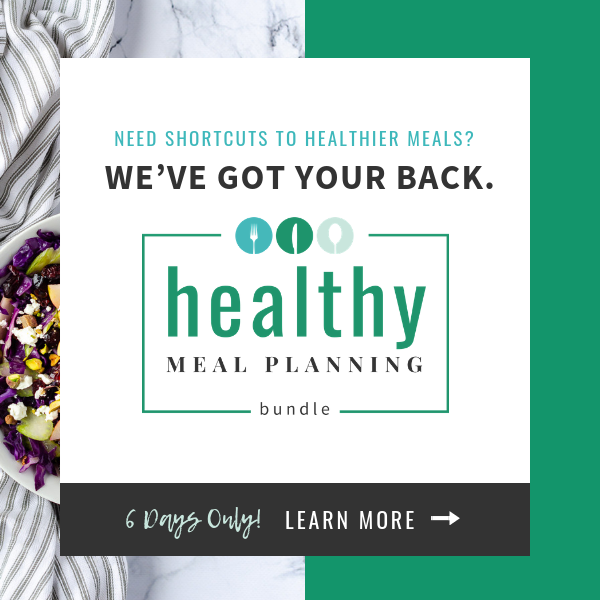 Of course, you will have to spend more to engage a trainer and nutritionist with thorough knowledge for a nutrition and workout plan customized specifically for you. Your regular gym instructor may not be that well trained. Good luck! Good review Rachna. Got a good drift of what it is about. The fact about brisk walking is thought provoking, coz thats what you hear when you go to any doc. Thank you, Ash! You are right about that brisk walking bit. I have been brisk walking for more than a decade now. And after reading the book I understood how I can make that work better for me. Luckily I was already strength training so all I needed was to fine tune my own routine. A very informative and helpful book. You will like it. I have read all her books and really like how much information she packs into these. I had pre-ordered this book through flipkart and was literally counting down the days for release. I agree with you on the slnag part, sometimes I feel there is too much of hinglish in the book that someone who doesnt understand hindi might find this a turn off. The best part however is that she has given a brief at the end of each chapter so people who doesn tlike to read all the scientific facts and explanations can read just that and still get a lot of knowledge on how to workout effectiveyl. Nice review. Yes, I do like the synopsis at the end of every chapter. I actually go back and read it once a few days just to recall :). Thank you for reading and liking the review. Thank you, Suruchi! I am sure Rujuta will be pleased to know that. The slangs in hinglish are deliberate as a reviewer had remarked that her first book sold very well due to easy conversational pattern of the book. This third book is different as slangs have been deliberately included.i pre-ordered the book from land mark and i am satisfied to some extent. However, the book is not practical. we need to go to some gym to perform weight trg exercises. there should be a list of good gyms in india. There is no glossary at the end of the book. There are very few photographs or figures. . List of recommended books should be separetely mentioned at the end and not as passing reference. However, Rujuta Diwekar is the number one nutritionist in India. For me there are two types of nutritionists – before RD and after RD. Srikanth, I think there are some really fantastic gyms in the cities now. As long as you are aware of the right way to go about things, I am sure the instructor can ably guide you. Many of us also do weights at home provided you know the correct method after learning them in the gym. Yes, before RD and after RD makes complete sense to me too. I hope she has noted your other suggestions too. I saw one of colleagues in my office today holding this book. I spoke about it to him and he was all up for it. My wife has her other two books which are also good. I guess I should get this one now after reading the post and the comments. 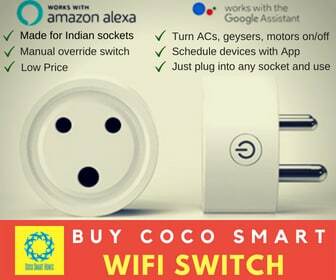 Okay – off to Amazon.